By writing a documented essay you will gain more experience in working with authentic documents, their interpretation and argumentation in favor of a given thesis. Perhaps you are afraid to write a documented paper or you are completely in the dark as regards of the way in which it should be done. Therefore, you have to follow a few rules and basic principles in order to accomplish the task. First of all, it should be mentioned that a documented essay deals with a definite problem by using original documents (articles, books, interviews, memoirs, etc.). Besides, it allows for pluralistic analysis which takes into consideration different points of view; at the same time, it aspires towards defending only one thesis based upon the documents available. A documented essay deals with a definite problem by using original documents (articles, books, interviews, memoirs, etc.). Documented essay is not a mere report, so it does not simply reflect facts and theories, but interprets them. Documented essay turns around reliable sources and well-conducted analysis of the available views on a subject. Documented essay requires a lot of knowledge in the field. Documented essay avoids emotions and feelings. It is not important how you perceive the topic or what experience you have, but what matters are the facts according to the selected documents. Writing a documented essay requires good communication between you and your instructor. Speak with him/her about the main goal of your documented essay, about the sources you should use, about an interpretation you would like to do, etc. Be open to the instructor’s suggestions and requirements. On the other hand, do not totally rely on their assistance since the assignment should develop a given set of abilities in you. A well-defined topic for your documented essay is already half of the job. By having a good topic, you will be able to search for information easily. Select the topic which you are familiar with and which also allows for referring to a plenty of evidences and facts. For example, documented essay topics can be related to education, volunteering, family issues, social and economical problems, and so forth. Afterwards, start gathering information. Search in libraries, on forums, online social networks, etc. Remember: it is better to use printed sources rather than web pages (this does not mean that you cannot refer to printed sources also available online). Write down facts, statistics, definitions, theories, names, etc. Then select only a small part of them; you need no more than 5-6 quotes which should take about one-sixth or one-seventh of the essay. Planning mainly depends on time at your disposal. Once you have gathered your material, it is easy to plan the draft. Plan the structure and order of the arguments and quotes. One of the methods employed during writing an essay may be to put quotes first, and then to interpret them (distribute the material on all pages and then write your analysis). Another method is to write the essay from the first page onwards. Also, don’t forget to plan an academic style of reference: you will need it in all cases. Now you can simply follow the initial plan. Introduce the topic and context. Then present different opinions and views on the subject. Your thesis can be stated before or after other theories have been analyzed. The thesis statement should be 2-3 sentences long and cannot be changed during the writing process. Be careful especially when referring to documents: they should be relevant, reliable and cited in an absolutely correct way (you cannot change any word). In this last stage you have to look for consistency and logical order. Also check for grammar and spelling mistakes. You may want to delete some phrases and replace them with others. We recommend you to do it if the phrase in question changes your thesis or is not relevant to your work. Experience is the key to knowledge about how to write a documented essay. By attempting as many times as you can, you will improve your writing skills, and also your logical capacities. 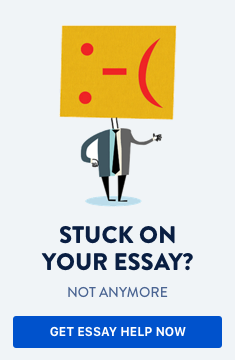 Do you need help with writing a documented essay?